Petra Kassun-Mutch founded Fifth Town Artisan Cheese seven years ago. 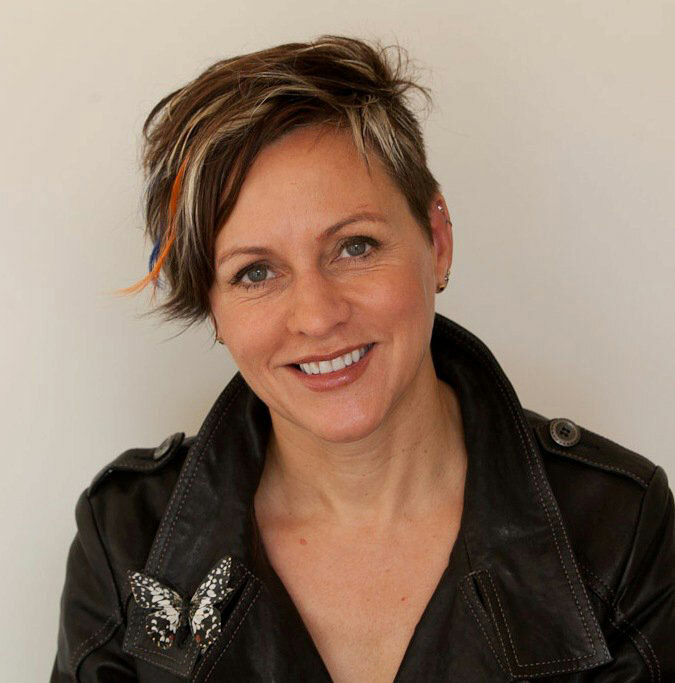 Petra Kassun-Mutch, a dynamic force in Ontario artisan cheese, is stepping down today as president of Fifth Town Artisan Cheese, the award-winning company she founded seven years ago. She remains a 50% shareholder of the Prince Edward County-based business. Cooper remains the sole director of Fifth Town. Christine Legein has been hired as interim president, effective today. Legein was vice-president of CCC Investment Banking, a mid-market Canadian investment bank with a specialization in the food processing industry. Legein has almost 30 years of experience in the food and beverage industry. Prior to her career in financial advisory and investment banking, Christine served in different executive roles in corporate development and operations at such market leaders as Ault Foods and John Labatt. Cooper has retained CCC Investment Banking to evaluate the company’s strategic options to leverage Fifth Town’s cheesemaking expertise and brand in order to drive the next phase of its growth. Kassun-Mutch was a key player in the founding of the Ontario Cheese Society and currently serves as interim chair of the recently formed Canadian Cheese Society. She told the society’s board that she now plans to be fully involved in its development as a voice for cheesemakers coast to coast. Cape Vessey is one of the many award-winning cheeses brought to market during the inspired leadership of Petra Kassun-Mutch. Fifth Town Artisan Cheese describes itself as an environmentally and socially responsible enterprise positioned as a niche producer of fine handmade cheeses using fresh, locally produced goat and sheep milk. The product development processes reflect the spirit of the Fifth Town brand which aims to integrate traditional methods and craftsmanship ethics with local terroir. 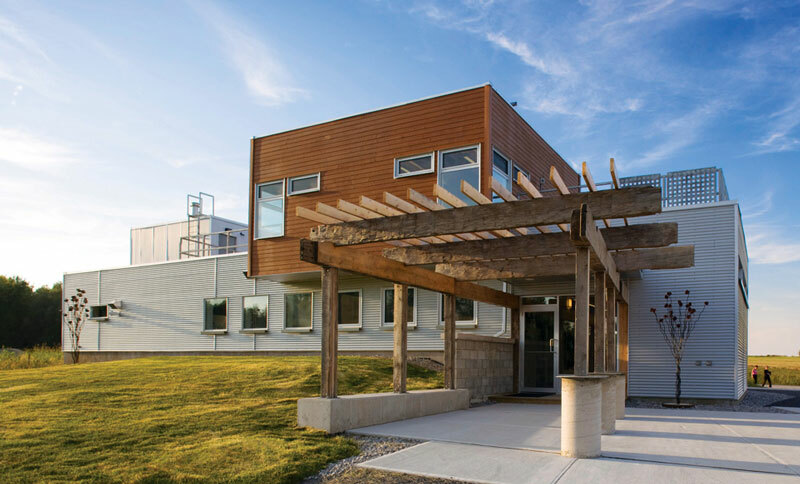 Situated on 20 acres of agricultural land on the eastern ridge of Prince Edward County, the 4,200-square-foot Fifth Town dairy processing, retail and educational facility enhances the practice of artisan cheese making with advanced sustainable design. The project aims to be Platinum accredited under the Leadership in Energy and Environmental Design (LEED) program. Fifth Town was founded by Petra Kassun-Mutch in 2004. After several years in design and development, construction began 2007 and the dairy opened June 2008 with then only five employees and three farms as suppliers. Since then, Fifth Town has grown to more than 16 employees with seven farm suppliers, and generates $1.5M in revenues annually. Fifth Town Artisan Cheese in Prince Edward County is the only Platinum LEED dairy in the world. The company was designed by Kassun-Mutch from the outset as a social purpose enterprise with governing values focused on leadership in sustainable enterprise management, local community contributions, and the triple bottom line. About 93% of the money spent to make, market and distribute its products stayed in the community. Fifth Town has won more than 35 prestigious national and international awards including Grand Champion on several occasions for its unique cave-aged goat, sheep and cow milk cheeses. It took five of the 21 awards given to Ontario dairies at the recent American Cheese Society competition in Montreal. In 2009, Fifth Town received the Premier’s Award for Agri-Food Innovation. It is Canada’s only Platinum LEED manufacturing facility and the only Platinum LEED dairy in the world. It has also received many awards for a variety of other initiatives including sustainable enterprise management, marketing, innovation, and architecture. 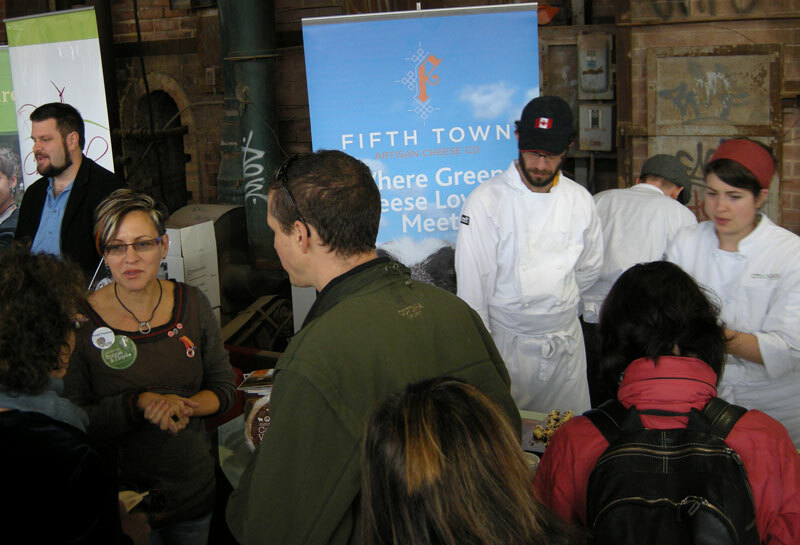 Fifth Town is Canada’s 8th B Corporation and achieved highest score at time of certification. Fifth Town: An award-winning creamery for award-winning cheese. Although Fifth Town Artisan Cheese Company has been producing cheese for less than three years, it has built a solid reputation for producing fine, hand-made cheeses using fresh, locally produced goat, sheep and cow’s milk, as well as for a commitment to be environmentally and socially responsible. Fifth Town has been the recipient of more than 20 awards since opening in July 2008, including several from the American Cheese Society. You’ll find the sustainable facility in Ontario’s Prince Edward County, located on 20 acres of agricultural land overlooking the St. Lawrence River. To cool, heat and power the dairy processing, retail and educational facility, geo-thermal technology and two renewable sources of energy—wind and solar—are used. The advanced sustainable design won Fifth Town Platinum LEED accreditation in February 2009, making it the first dairy in North America to receive platinum status. Petra Kassun-Mutch, founder and president of Fifth Town, and Stephanie Diamant, master cheesemaker, didn’t always make cheese. Petra Kassun-Mutch left her career as a publishing executive in Toronto to pursue her passion for artisan cheesemaking, traveling and studying widely. When it was time build her creamery, she selected the County on account of family connections there and familiarity with the land and resources at hand. 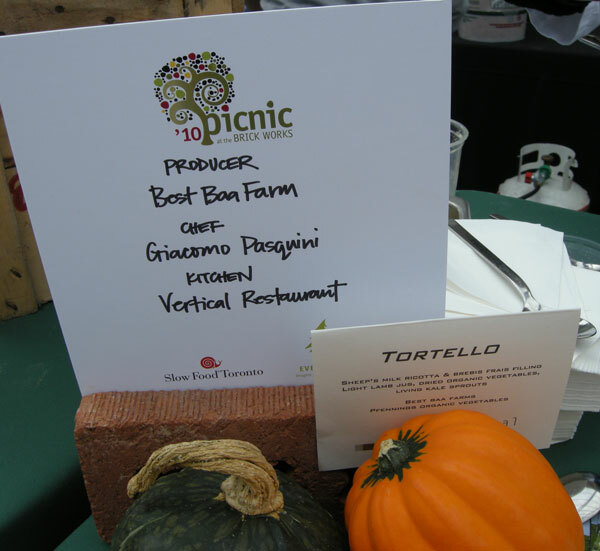 Paired with the County’s reputation for being an emerging culinary destination, it seemed a natural fit. Stephanie Diamant, on the other hand, has a background in medical research and a degree in agriculture. She spent 10 years operating a dairy-sheep farm near Georgian Bay where she began making cheese in her small kitchen. From there, Stephanie decided to head for England where she travelled visiting dairy sheep farms, and completed an apprenticeship. In 2008, an opportunity presented itself and she joined Petra in her new venture. Petra Kassun-Mutch amid goats that produce milk for Fifth Town. Currently producing a variety of fresh, washed-rind, soft ripened, hard and limited edition cheeses, Fifth Town gets fresh milk from six local, environmentally conscious, partnering farms. Frozen milk or curd is never used in their cheese making, and the milk is hormone and antibiotic free. No modified milk ingredients are used. Fifth Town’s fresh cheeses have a creamy, moist texture with no artificial additives. They include flavours like Garlic and Chives, Dill Weed and Lemon, and Lavender. The washed-rind varieties range from slightly salty, with complex aggressive flavours, to refined nutty, almost sweet lactic flavours. Washed-rind Cape Vessey is the top-selling cheese. Lighthall Tomme, one of the hard varieties, was awarded first place in the Hard Aged Goat Cheese Category by the American Cheese Society in 2009. It offers a pleasant, light, almost nutty flavour, with a smooth, firm texture and a mild saltiness. Last month, Fifth Town introduced County Quark, its newest cheese, in the retail shop at the creamery. County Quark is available in two flavours: Original and Maple. Quark is a type of fresh cheese made from cow’s milk, and is similar to cottage cheese. It is soft, white, unsalted and un-aged. Fifth Town cheese can be purchased year-round from the retail store in the plant and at Black River Cheese and Sobeys in Prince Edward County, as well as at more 50 other locations throughout Ontario. 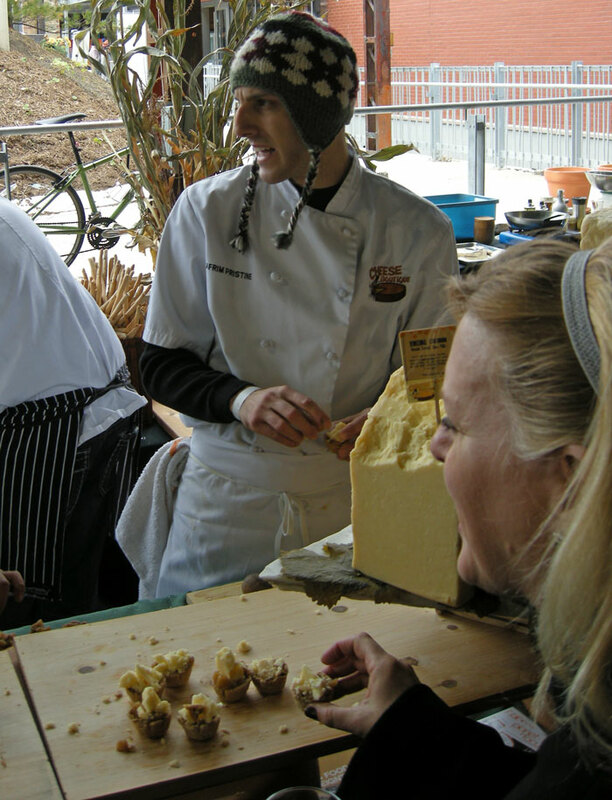 Fifth Town Artisan Cheese will be a featured cheesemaker at The Great Canadian Cheese Festival taking place June 4-5 at Crystal Palace in Picton, in the heart of Prince Edward County, Ontario’s newest wine region and fastest-growing culinary destination. Fifth Town cheese will be available for tasting at the All-Day Cheese-Tasting Seminar Program and Cooks & Curds Cheese Gala on Saturday and during Artisan Cheese & Food Fair on Sunday. A graduate of the post-graduate public relations program at Loyalist College, Colleen Vickers-Kleywegt is interning with the City of Quinte West. She loves to cook and bake and spend time with family, friends and her dog Bruiser. 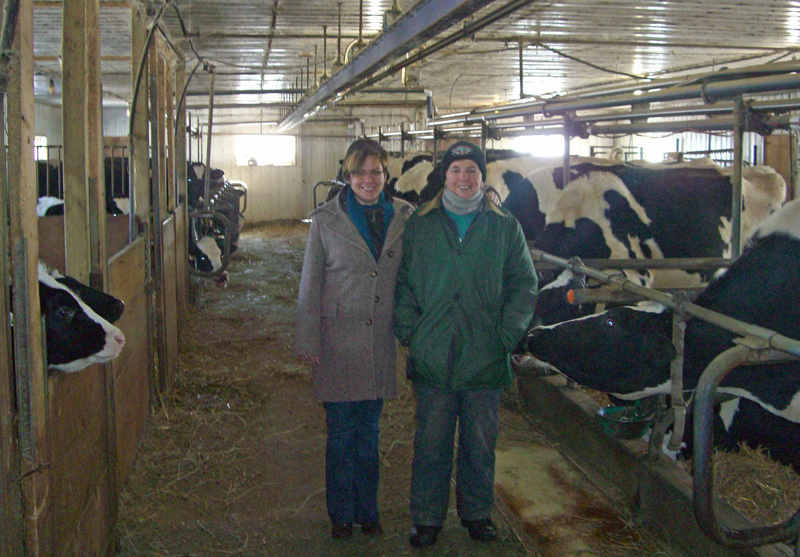 Petra Cooper (left) and Jean McCormack among the Holsteins at Quinte Crest Farm. Only 20 months after Fifth Town Artisan Cheese first began producing cheese, Petra Cooper, founder and president, isn’t resting on the laurels of critical acclaim that greeted her goat and sheep cheeses. Since late December, cow’s milk is also being turned into cheese at the Prince Edward County creamery—with the first offerings going on sale in May. 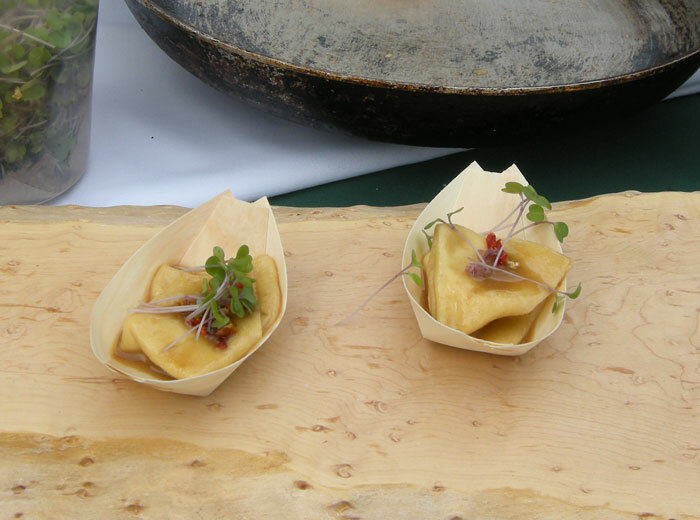 Sampling will be possible this weekend in Toronto at the Ontario Cheese Society’s booth at Green Living Show and Monday evening at Canadian Artisan Cheese Marketplace & Prince Edward County Wine Tasting. Quinte Crest Tomme takes its name from Quinte Crest Farm—just a few minutes northwest of Fifth Town—where grass is turned into milk by a herd of 30 happy Holsteins under the care of Jean McCormack, one of Ontario’s few female dairy farmers. Jean and Petra are near neighbours as the farm is just a few minutes northwest of the creamery. Quinte Crest is a single-herd cheese that is aged for three to six months in the underground cave at Fifth Town under the care of affineur Phil Collman (who happens to be married to the cheesemaker). Not content with just one cow’s-milk cheese, Petra has her team at Fifth Town developing a second. It will be called Rose Haus. Ten percent of net sales will be donated to Rose House Museum which chronicles life in North Marysburgh (originally known as Fifth Town) from the 19th century to the present. Rose Haus, once approved by government agencies, and Quinte Crest Tomme will initially be sold from Fifth Town’s store at the creamery 15 minutes beyond Picton in Prince Edward County. All of Fifth Town’s goat cheeses are made with Prince Edward County milk that is Local Food Plus certified. The cheeses are aged by time honoured artisanal methods in Ontario’s only subterranean aging facility. Fifth Town is a Platinum LEED certified dairy and won the Premier’s Award for Agri-Food Innovation in May 2009. Fifth Town opened in June 2008 as a federally licensed dairy. Currently, it employs 14 people and buys milk from three local, family-owned goat farms and three local, family-owned sheep farms. More than 80 percent of the milk processed by Fifth Town is goat milk.